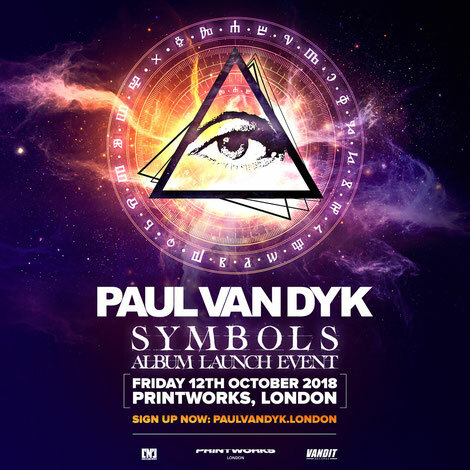 With the date of release still to be revealed, the clearest possible idea as to when ‘Symbols’ will materialise is that pre-registration has been unlocked for the album’s October launch show, with new London club The Printworks housing the début performance. At once industrially atmospheric and ethereally gothic, PvD saw the former newspaper printing plant as the perfect backdrop to frame ‘Symbols’. Having already played host to some of the biggest names in electronic music, on 12 October van Dyk will become the first artist to send trance around its history-infused walls. With a while to go until release, further info on the album’s exact nature - collaborations most notably - remain scarce. As recently as his Tomorrowland set however, track easter eggs were rumoured to have appeared. With a trail leading through Mysteryland, Creamfields and his SHINE Ibiza sets, more - it’s hinted - will be there for the keener eyed and eared.